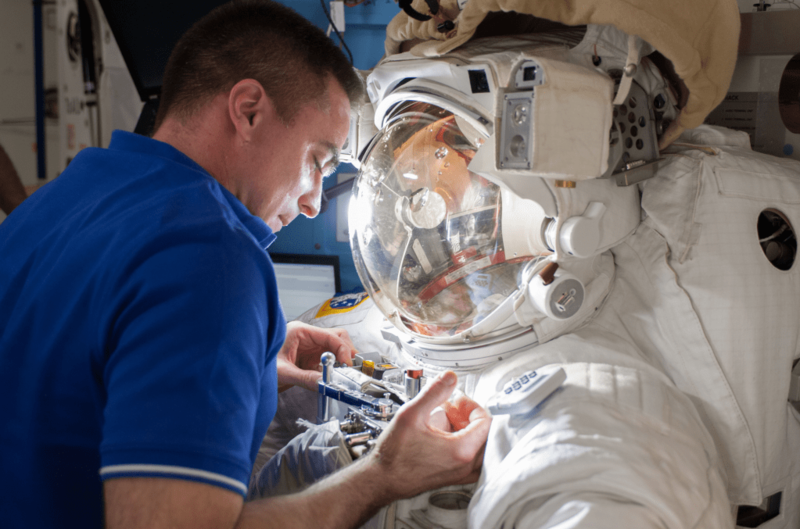 It took NASA almost the same amount of time as a sitcom episode to send Luca Parmitano back to the airlock when the Italian astronaut experienced a leak in his spacesuit last summer, a new report reveals. The 23-minute gap of time between when Parmitano first sent a report of water in his helmet, to when NASA told him to go back to safety, exposed the astronaut “to an increased level of risk”, the report said. While Parmitano emerged from the incident safely, in his last minutes inside the spacesuit the water was covering his eyes, getting close to his nose and mouth, and affecting the communications equipment. “There wasn’t an issue of anything being hidden or surprised. It was a lack of understanding about the severity of the event. It was believed a drink bag caused the leak,” said Chris Hansen, the chair of the mishap investigation board, in a press conference today (Feb. 26). This misunderstanding, added Hansen (who is also the chief engineer of the International Space Station Program) also led to a problem when a leak occurred in the same suit just the week before. Parmitano’s water leak occurred July 16 when he and Chris Cassidy were preparing a part of the International Space Station for a new Russian module. 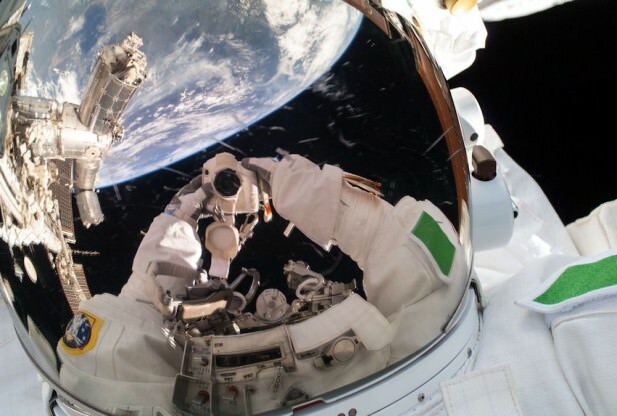 Until today, however, few knew about the existence of a second leak in the same spacesuit that happened on July 9, when Cassidy and Parmitano were doing another spacewalk together. After the conclusion of “EVA 22” on July 9, as NASA called the extra-vehicular activity, Parmitano took off his helmet and crew members discovered between 0.5 and 1 liters (0.13 to 0.26 gallons) of water inside. Cassidy told the ground that he could not see any water during the spacewalk or repressurization, leading NASA to conclude the water got into the helmet in the airlock. Hanson emphasized that the crew did not make the final call, and that the ground team did ask some questions about what was going on, but the assumption that a drink bag caused the water was also a key feature of the July 16 spacewalk when the leak began to show itself in earnest. Also, NASA did not well understand the physics of how water worked inside of the suit, assuming there was no way for liquid to make it past a fan pump separator into the helmet unless the fan itself shut off. If that scenario arose, NASA would have kicked into a 30-minute return-to-airlock procedure, and that was in the back of controllers’ minds as they were working through the fault tree during the July 16 spacewalk, officials said in the phone call today. In the short term, the authors of the report have several “Level 1” or priority recommendations that they should be implemented before normal spacewalks resume. NASA said it’s planning to work through these and “Level 2” recommendations in time for June, with the aim of getting spacewalks going again in July or August. Emergency spacewalks can still go forward, as the agency has new safety measures in place (including snorkels). This happened in December as the astronauts replaced a faulty ammonia pump. The agency has no pressing spacewalk tasks at this time. The broken pump, sitting in temporary stowage outside the station, was initially safed to stay there until summer, but further analysis shows that it could sit there for several months more. You can read the entire 222-page report here. We’ll pull out more highlights tomorrow after we have some time to look over it in more detail, too. The exact cause of the leak is still under investigation.